What do the NFL and European Central Bank have in common? 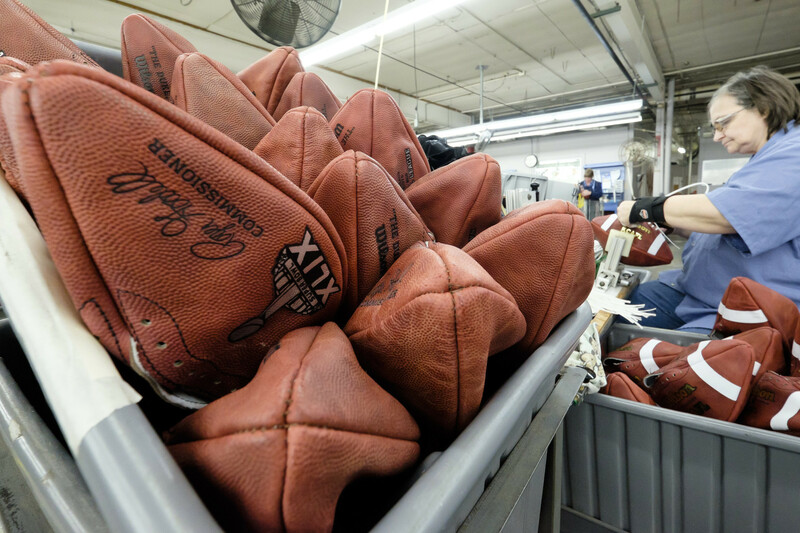 While the NFL investigates whether the New England Patriots cheated in last weekend’s AFC Championship win by intentionally deflating 11 of 12 footballs, the European Central Bank is also preoccupied with deflation – the monetary kind. In December consumer prices in the Eurozone fell by 0.2% from 12 months earlier. 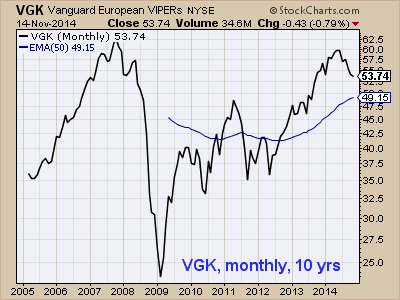 The deflation is a symptom of Europe’s persistent economic weakness. The fact that prices are falling is putting pressure on the ECB to cut interest rates or launch a quantitative easing (QE) program. Tomorrow Wall Street’s eyes will be on ECB Mario Draghi to see if he’ll announce some sort of initiative to boost money supply in an effort to inflate Europe’s economy. 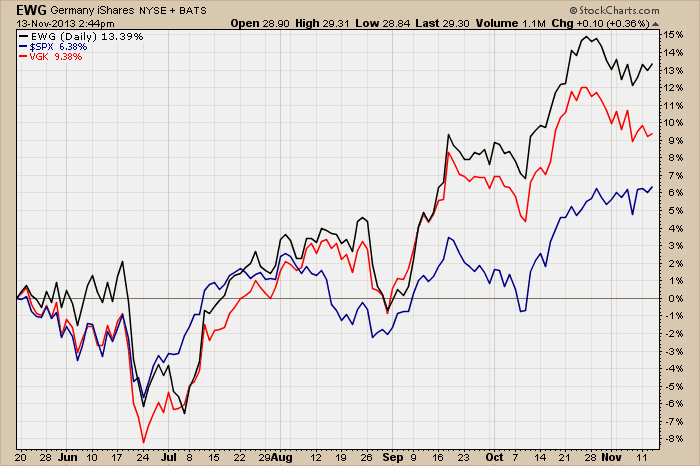 Since an ECB move is widely expected, failure by Draghi & Co. to act (or act enough) could send US stocks lower. My newsletter’s intermediate-trend timing model for European funds is very close to an intermediate-trend buy signal, but several weeks away from a potential major trend buy signal. 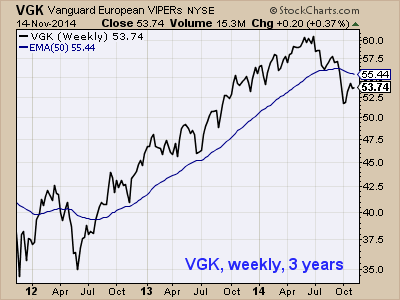 Trades are based on Vanguard FTSE Europe (VGK). I’m three months into hosting an exchange student from Germany for the 2013-14 school year. Philipp, an 11th grader at Champlain Valley Union High School here in Vermont, is a gregarious fellow and I’m enjoying our frequent discussions about how life in Germany compares to what he’s experienced so far in the US. Philipp loves America – everyone is “so friendly here”, he says often. Philipp’s only complaint: the time-consuming and complex process for obtaining his student visa, which included a long train ride to the US Embassy in Berlin for an interview with a State Department official. I explained how 9-11 brought about stricter visa guidelines. Philipp, like most 16 year olds, is completely uninterested in the stock market; his passion is American football. But as a money manager who spans the globe in search of reasonable risk opportunities for clients, the German stock market is something that I pay close attention to. While I don’t run a dedicated trading strategy for German stocks, a European Funds Timing Model has had a place in my newsletter since the 1990s. Germany is a very important economy in that region. Although a relatively small country, Germany single-handedly kept the Euro afloat when Greece, Ireland, Spain and Portugal experienced their sovereign debt crises two years ago. In the second quarter the Eurozone edged out of its worst recession on record – one much deeper and longer than experienced here in the US. The continent’s recovery is fragile, just like here in the US, and for that reason many European equity investors view Germany as the safe-haven country. The flight-to-safety has propelled Germany’s stock market sharply higher over the past two years. In October Germany’s primary stock market benchmark, the DAX, broke through the 9,000 mark for the first time in its 25 year history. 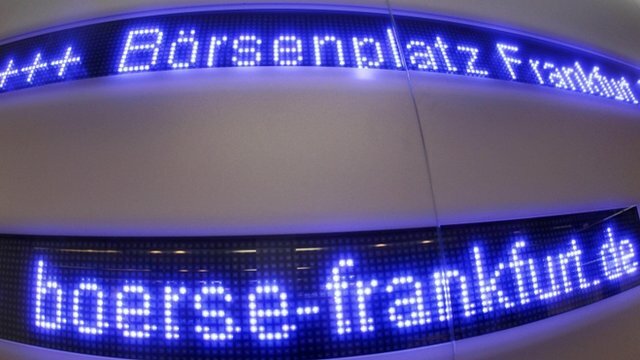 [The DAX is a blue-chip index comprised of Germany’s 30 largest companies (e.g. Lufthansa, Adidas, Siemens and BMW).] But recently the German Central Bank, their equivalent of the US Federal Reserve, warned of a severe correction. Applying my trading parameters to iShares MSCI Germany (EWG), a $5.5 billion ETF that serves as a reasonable proxy for the German stock market, German equities are currently on a buy signal. 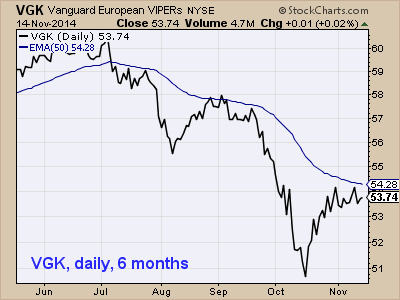 US investors looking for broad exposure to the Eurozone have several options, but the most popular in terms of asset base with $15.6 billion under management is Vanguard FTSE Europe (VGK). Germany has the fourth largest individual country presence (13.5%) in VGK. My European timing model is also in buy mode. As the case with any investment outside the US, be aware of country/region and currency fluctuation risks.